Jan. 13-45 Dear Dave, Just a line this time to give you a new address to send me my scuttlebutt too. Have been doing quite a bit of moving lately but believe now this will be my address for sometime. 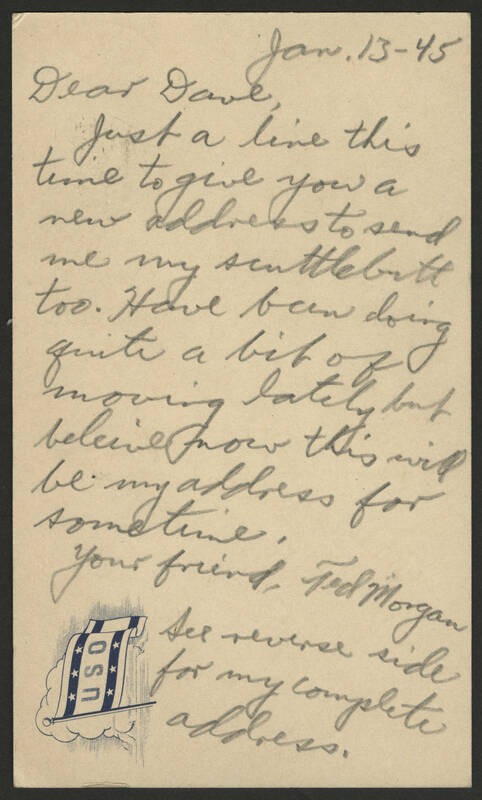 Your friend, Ted Morgan See reverse side for my complete address.